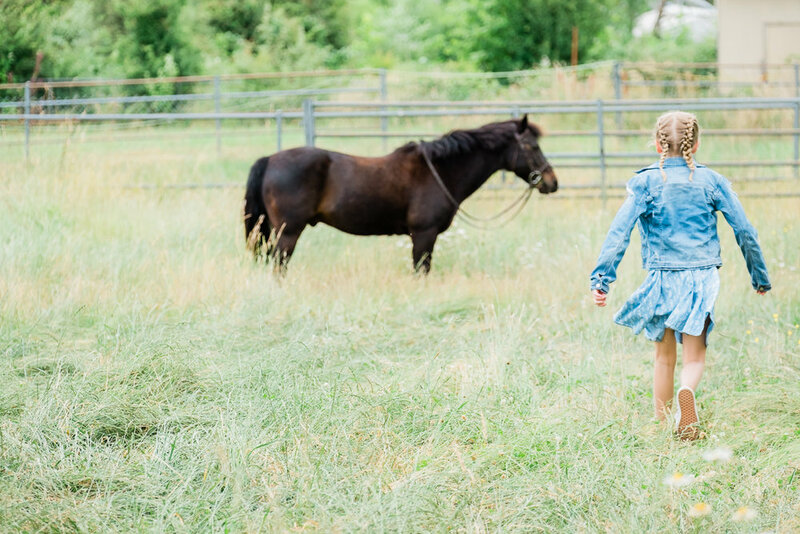 I first met Amelia when I was photographing Quarry Ridge Farms summer jump show series in Battle Ground, WA. 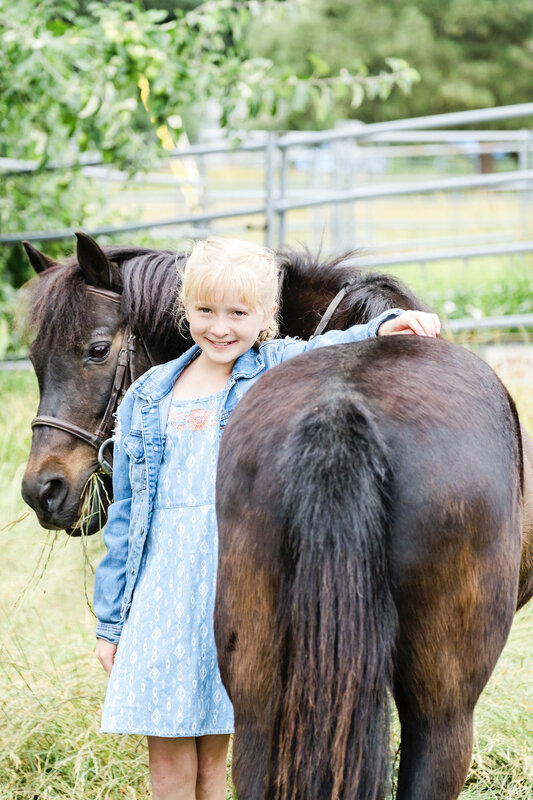 She was so excited when her mom booked her a private equine session to showcase the bond she shares with her pony Scout. As the day of her session drew closer, I was probably just as excited as she was! The day of Amelia and Scouts session was gorgeous. As I do for all of my equine and pet portrait sessions, we scheduled her custom session for a bit before sunset to really take advantage of the changing light. The colors of the sunset were a wonderful bonus that evening! Amelia in her formal riding attire atop of Scout. 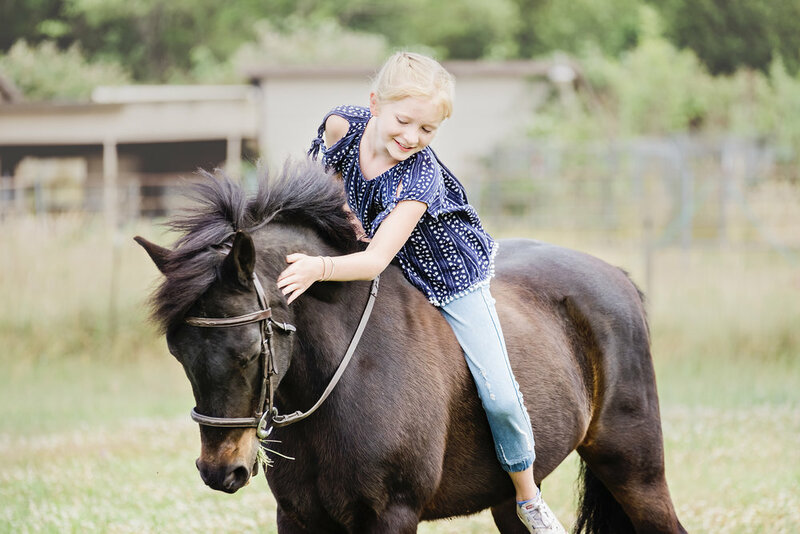 I loved seeing the bond that Amelia has formed with her first pony Scout! Much like any photography session, you never know how an equine photography session is going to turn out. Yes, everyone wants those perfect shots. Ears forward and eyes soft. However, Scout was a stubborn pony who only wanted to graze, so we decided to embrace his naughtiness and capture his true personality! My favorite part of the session came when mom pulled me aside and told me that after seeing one of the images on the back of my camera Amelia said, "mom, I feel so pretty and special." Amelia is not the only one! 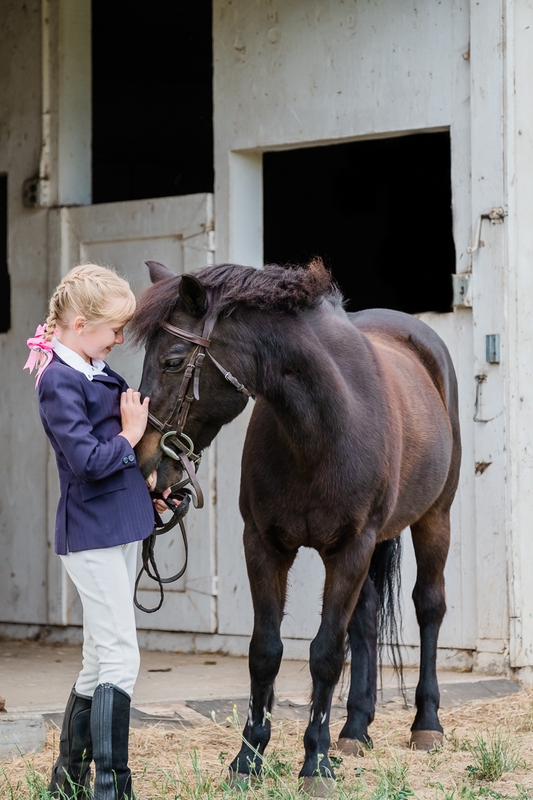 I feel pretty special that I was asked to document the bond between a pony and his human! 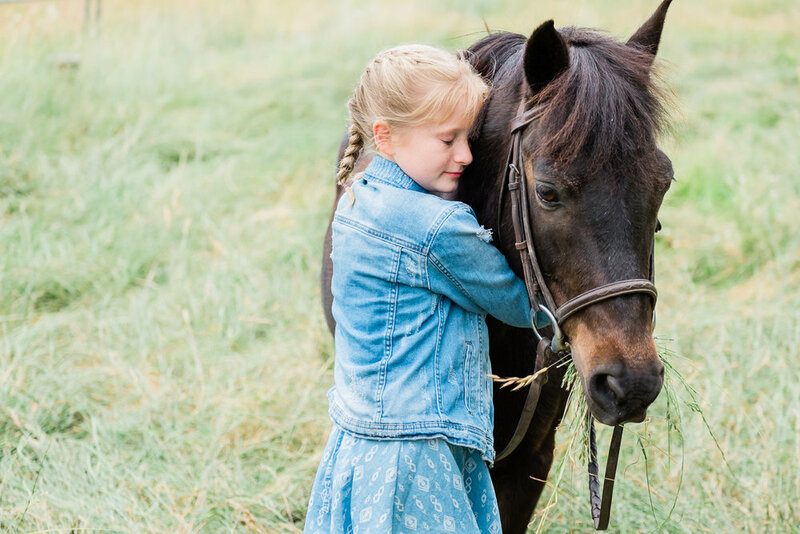 Amelia's love for Scout was clearly evident throughout her entire session!